A World view on Netaji: "Netaji and Gumnami Baba" - one and same ? "Netaji and Gumnami Baba" - one and same ? Netaji and Gumnami Baba are same - a few contradictions any Indian can find out: 1. Why not conduct DNA test again before CCTV and by agency with unquestionable integrity. 2. If Netaji had returned secretly and began staying in Ayodhya,seeing the state of India and resurgence of people's movement, a leader with Netaji's character could never remain behind door. Rather he would come to join the main stream of opposition politics and people would love to anoint him as new leader and give him power through ballot 3. 1970 to 1985 Gumnami Baba stayed in UP and with Samar Guha,Member of Parliament drawing attention of Central govt of Congress about that. Now, if the rulers at central govt were , as record shows, having so much fear in Netaji's arrival and stay in India, how come no arm was done to the Gumnami baba for over 15 years ? If the govt wished and as the attitude we are briefed, either Gumnami baba would have been killed or the Allied Force would put claim on India for hand over of last surviving member and commander of INA. 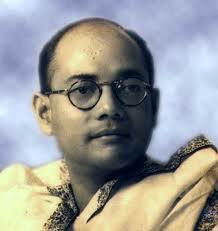 Does all these facts do not point to a possible plant of Netaji-alike for some ulterior purpose, yet unexplored ?